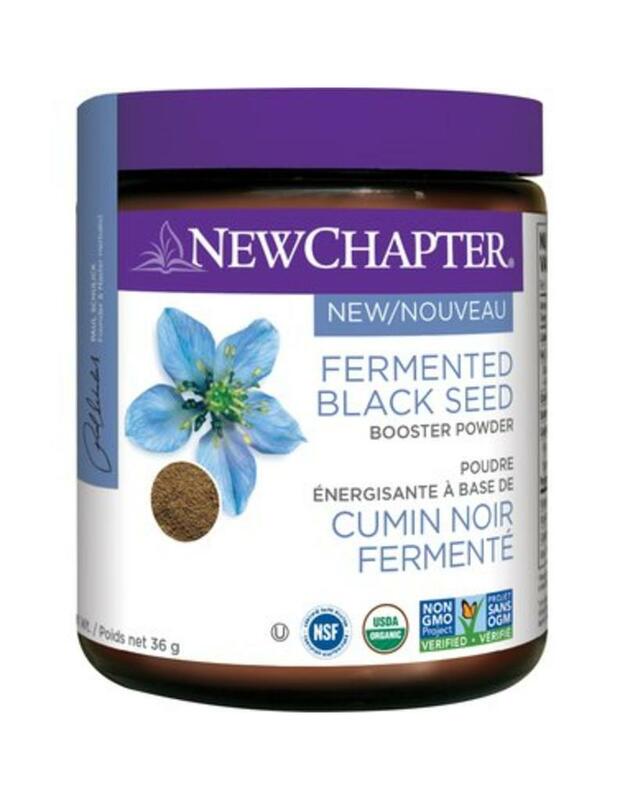 The New Chapter Fermented Black Seed Booster Powder delivers full spectrum Fermented Black Seed combined with 7 complementary herbs including Lion's Mane, Aloe, and Turmeric. Add to your favourite drink for a natural and nutritious energy boosting source of antioxidants. Dosage: Add approx one-half teaspoon to your favourite milk, juice, smoothie, or mix into your favourite recipe. New Chapter is Committed to Sustainability. Their concern for the planet is expressed through their every act of business, whether big or small. Sustainability begins with intention - and from the start, their intention has been to produce the most conscious product possible. They also work to advance the organic mission, nourishing body and soul with the healing intelligence of pure whole foods and herbal supplements. 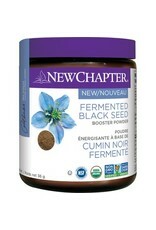 New Chapter believes in nurturing and sustaining Mother Earth, the source of natural healing.